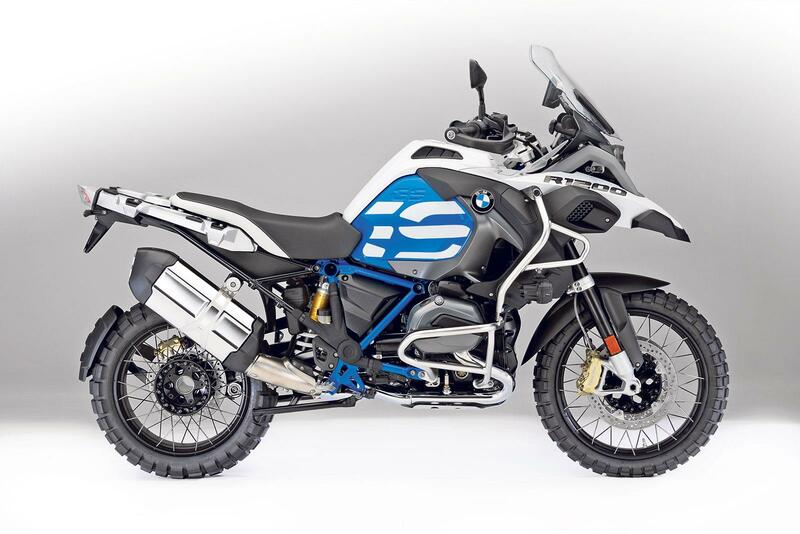 The new-for-2018 incarnation of the R1200GS Adventure has arrived in dealers, bringing all the updates enjoyed by the 2017 R1200GS to conform to Euro4 regulations – and adding a whole host of optional extras to the Adventure’s repertoire, as well as new model variants such as the Rallye version. 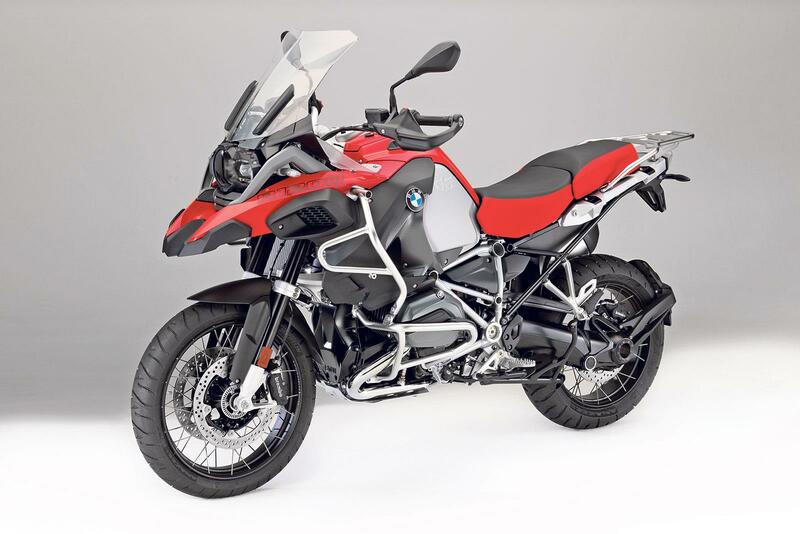 BMW barely sell any standard bikes, with owners almost unanimously choosing to slap the majority of the upgrade packs onto their purchase. The list is long, and includes several modifications that are as important for your riding pleasure as they are for residual values. 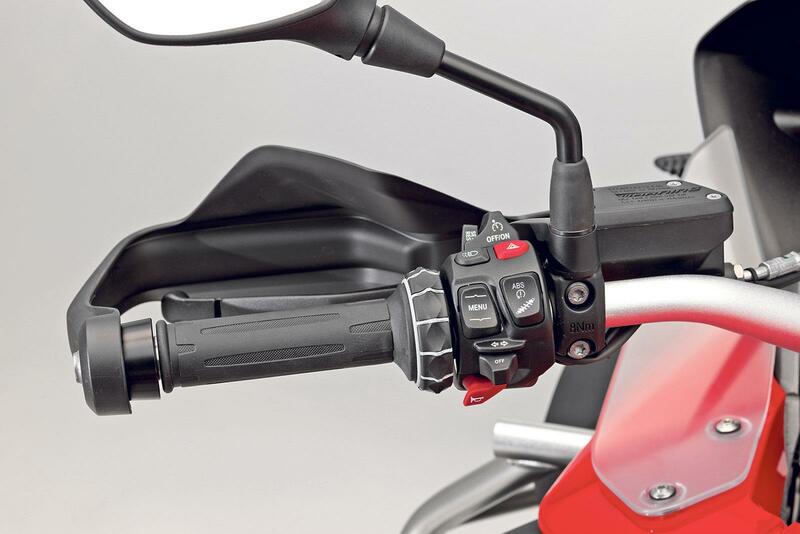 The new automatic damping and self-levelling Dynamic ESA is key amongst them, along with Shift Assistance Pro and the enhanced riding mode plug-in that delivers additional ‘Pro’ modes to the Dynamic and Enduro settings. 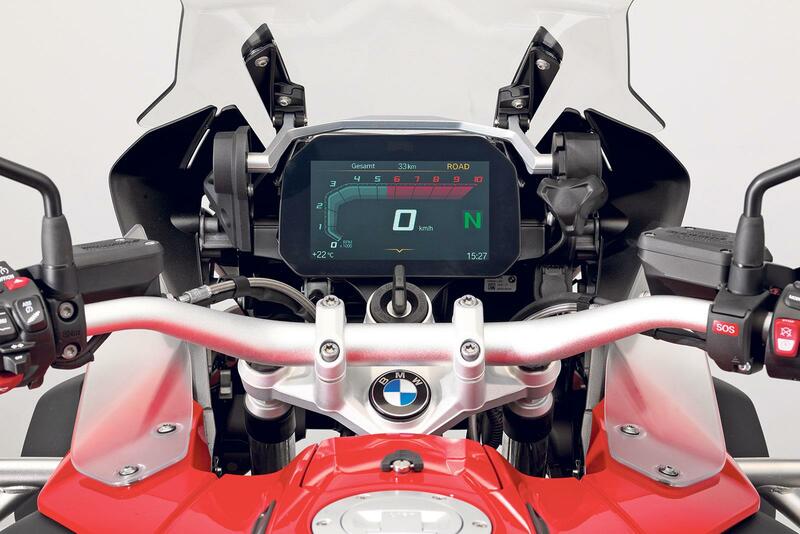 But the must-have upgrade for 2018 is what BMW call ‘Connectivity’ – which does away with the current standard analogue/LCD clocks, and replaces them with a fully connected TFT dash at a cost of £595. The firm’s Emergency Call system (£295 extra) is also now available for the first time on the Adventure.  For riders embarking on genuine adventures – especially if riding solo – or who have a history of finding themselves upside down in hedges, this could be a genuinely life-saving addition to the spec sheet. Also new are a raft of new colours and graphics. There are five mode options available, all of which can be further customised to owner preference. The base model GSA starts at £13,400 while the range-topping variant is the Rallye TE, at £17,670. Contact your local BMW dealership for more information.